From the fruits of our garden , all agriculture organic , we produce every year fruit liquers us pomegranade liquer and peach seeds liquers. We use greek white alcohol called Raki or Tsipoulo , black sugar and the fruits. 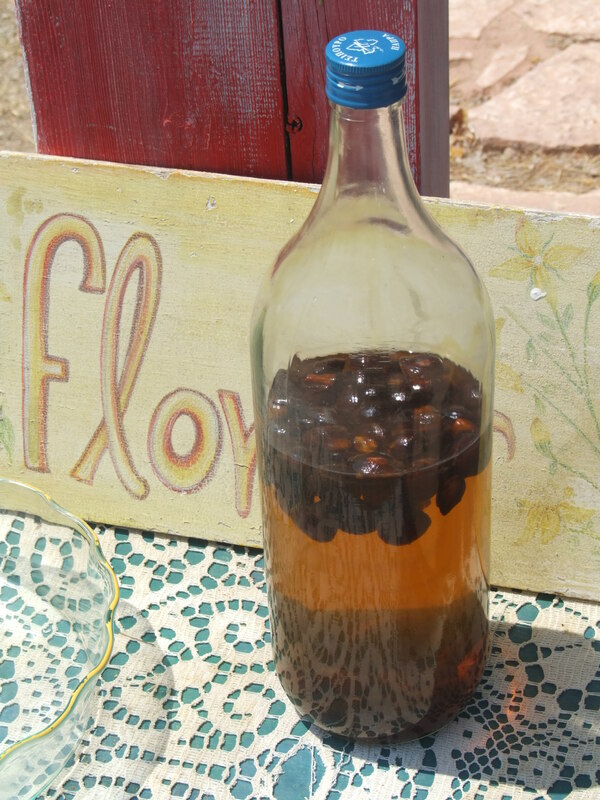 We put our liquer in the sun for about a month and soon it will be ready. We offer it in 100ml. botlle and cost 7 euro.